The futures discussed in this book primarily arise from awareness of the potentially disruptive impact of climate change and ecological instability on human societies. Part of the paradox of cultural, social and ethical life in all societies is that it is directed towards a future that can never be observed, and never be directly acted upon, and yet is always interacting with us. As a result actions depend on imagination and political action. 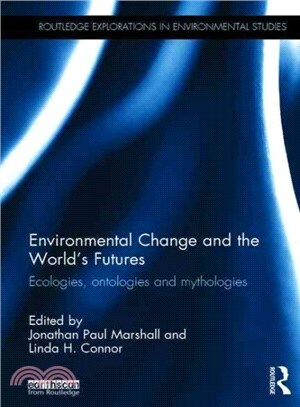 Future-loaded terms like ‘anthropogenic climate change’, ‘food security’, ‘sustainability’, ‘energy security’, and ‘biodiversity’ evoke a specific politics that privileges scientific or economic knowledge, while potentially suppressing the contestations within, and between, those knowledges. Remedies like carbon taxes, carbon trading, renewable energy and nature conservation risk obscuring forms of social and cultural difference in favour of the proposed moral unity of ‘global humanity’ on a threatened planet. These are ‘holistic’ projects that suppress parts of the world, or particular social dynamics, in favour of others. By contrast, this book’s framework embraces an appreciation of difference and non-holism, as it is unlikely that one solution to the many disruptive futures perceived throughout the world can be found. Indeed any such ‘one solution’ may increase the disruptive effects found in local situations. Each chapter invites reflection on diverse ways of comprehending global warming and other manifestations of major environmental change, as well as on the forms, and shapers, of agency that influence people’s understanding and response. In order to encourage the appreciation of the different future worlds either imagined and emergent in the present, the scope of the chapters extends beyond the usual geopolitical focus on the North Atlantic world, to encompass Nepal, islands in the Pacific, Sweden, coastal Scotland and remote, regional and urban Australia. The book is uniquely informed by empirically based and multidisciplinary social science modes of inquiry, together with a broad-ranging examination of the ‘futures’ based discourse, policy and politics that have become an intrinsic part of the contemporary world. It will appeal to researchers and postgraduate students in environmental anthropology, environmental studies, psychology and politics. Jonathan Paul Marshall is currently a QEII research fellow at the University of Technology Sydney, Australia. Linda H. Connor is Professor of Anthropology at the University of Sydney, Australia.